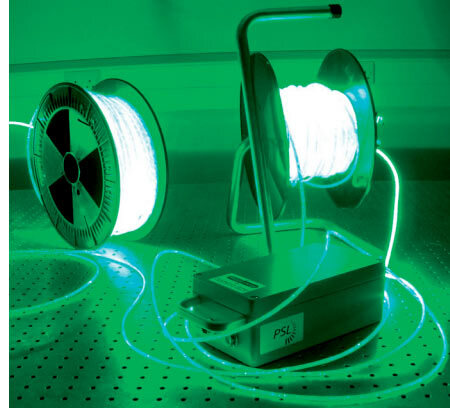 As part of on-going development PhotoSynergy (PSL) has incorporated its latest ‘wet-mate’ coupling technology to develop a deployed 12hr, IP67 rated light source that can be rapidly connected to the fibre rope to create a continuous line of light carrying no electrical power. 6. Lighting air dive umbilicals both on the surface and underwater. On-going development at PSL will extend this concept into hazardous and explosive environments.